Minimalism is a lifestyle that I have chosen to embrace since early 2014. It involves simplifying your life in order to make room for what is important to you, and getting rid of everything else. Minimalism calls us to have less, spend less, do less, and need less and be happy and content with our simple lives. It requires that sacrifices be made and it’s not always an easy lifestyle to live. But I believe that this lifestyle has so many benefits, that it is worth the sacrifices and challenges! We are constantly being bombarded by advertisements on television, on the radio, on billboards, on YouTube, on websites, among other sources. Everywhere we go, there are messages telling us that we should consume more, that we should buy that product because it will make our lives better, that our purpose in life should be to be accumulate more “stuff” that we don’t actually need in order to live. It is difficult for us to reject these messages, because they are taking advantage of our innate human emotions and feelings (like happiness, fear of missing out, feeling adequate, feeling beautiful, feelings of power and prestige, feelings of worth and success, etc.). Having more “stuff” and too many time commitments creates more stress and busyness in our lives and these “things” take away our time, energy and money which could be spent pursuing more important things in life. We spend time researching our stuff before we purchase, earning the money to buy them, and we spend time repairing, maintaining, and organizing our stuff. If you’re interested in reclaiming your time, having more energy and saving more money, then keep reading! Minimalism might be the change you need in your life. So where do you start on the path to minimalism? My journey to a life of embracing and practicing minimalism began in the spring of 2014. I had started to eat healthier by cutting out processed foods and weaning myself off of drinking soda (as I used to drink one Coke a day, sometimes more). As I was researching how to eat healthier and learning about genetically modified foods and the harmful effects of ingesting chemicals from food (and by putting chemicals on our skin, with makeup, lotions, etc. ), I stumbled upon a website which lead me to discover the concept of minimalism. It intrigued me and I wanted to learn more. I had always had a lot of stuff and I used to be somewhat of a hoarder. I kept every paper I had ever written on and had boxes upon boxes of papers, old schoolwork, books and other random things. 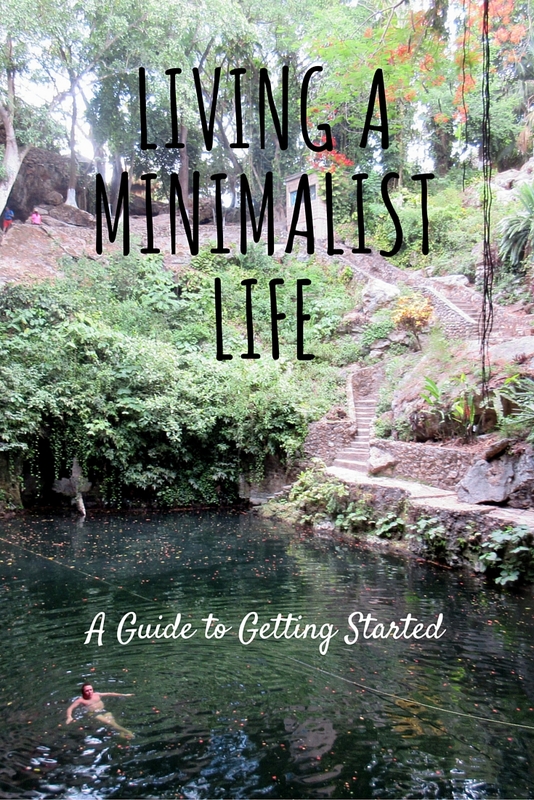 I began researching what a minimalist lifestyle looked like and how I could live simpler. I delved deeper into my research and read hundreds of articles and blog posts over the course of the year. I began clearing away the physical from my possessions, simplified my diet, and started to live my life more intentionally. I started by decluttering the possessions in my house, closet by closet, drawer by drawer and room by room. I then worked on eliminating the unnecessary obligations and commitments that took up my time. It’s a slow process and I’ve been chipping away at it for almost a year now. There is always more to learn and always more that I can do to simplify, so I still continue to read books and online articles about simplifying and minimalism to keep myself motivated and inspired, and to help me get new ideas for simplifying. I have come to learn that the best things in life are not things, and that we actually need less than we think we do. I spend less time desiring to have the latest gadgets, and newest possessions, and more time being grateful for what I do have in life while appreciating the simple things and focusing on my passions. It’s so empowering and freeing to be able to reject the messages that society continually feeds us through advertisements; companies telling us that we need to buy their products in order to be happy and look beautiful. It’s freeing to be able to take control of my life and make conscious decisions about where I choose to spend my money and how I choose to spend my time. Many of us spend our whole lives trying to accumulate more possessions, nicer things (clothes, cars, televisions, houses), and more money. I used to fall into that trap of desiring to have the latest and greatest things, but after experiencing the benefits that a minimalist lifestyle offers me, that kind of superficial lifestyle no longer interests me. I used to go shopping at the mall every other weekend, not needing anything in particular, but always purchasing something anyways. I started to notice that the people who own a lot of stuff, are not happy. They are often stressed, overwhelmed and overworked while trying to earn money to pay off all of their luxury purchases. When I traveled to Mexico this past spring, I experienced the generosity, friendliness, warmth and positive nature of the locals, despite them owning so few things. It humbled me and I realized how little we actually need to survive, and more importantly, to be happy. It’s all about making the best of our situation and consciously stopping that desire for more. It is a choice. More stuff does not equal happiness. Less stuff equals happiness. I believe that the key to happiness is freedom and more time spent focusing on the things that matter to us (relationships, connecting with others, contributing to our communities, pursuing our passions, learning and personal growth). Minimalism is about spending less, having less, and needing less, while focusing on living more, experiencing more and doing more of what you love. It is about removing anything in your life that does not add value in order to make space to focus on what is important to you. It is eliminating distractions, clearing away the physical/mental clutter and unnecessary time commitments that keep us from enjoying life, living in the moment, being happy and appreciating life’s simple pleasures. The simple answer to the question “How do I get started living a minimalist life?” is to identify what is most important in your life and eliminate everything else (distractions, physical clutter, unnecessary time commitments, and other excess stuff). Minimalism is about living an intentional, meaningful and fulfilling life through making conscious choices. It means less clutter, less time commitments, less stress, anxiety and possessions; more time, space, and energy for things that matter to you, more happiness, peace, solitude, rest and freedom. Add things you’re passionate about, things that add value to your life, meaningful relationships, contributing beyond yourself to help others, personal growth and learning, experiences and travel. What are the Benefits of Living a Simpler Life? There are so many benefits to choosing a minimalist and simple life! Minimalism might be a good lifestyle change for you if: your living space makes you feel stressed and overwhelmed, if you spend the majority of your day feeling rushed, stressed or anxious, you feel like you don’t have time to engage in activities that make you feel refreshed and energized, and if you feel like there’s not enough time in the day to do everything. More Time – When you eliminate all that is unnecessary from your life (time commitments, excess possessions, distractions), you have more time to focus on and pursue what is important to you (your passions). Through getting rid of unused and unneeded possessions, you free up time because you are spending less time cleaning, maintaining, organizing, researching and shopping for possessions, repairing, and more. With this extra time, you can it living in the moment, connecting with people and building your relationships, growing and learning new things, spending time with family and friends, pursuing your passions and focusing on your physical, mental and emotional health. More Energy – When your time is focused on doing things you’re passionate about instead of things that you dislike, you will feel more energized and alive. More Freedom – When you have more time, you also have more freedom to spend your time doing more of what you love and what matters to you. When you have less possessions, you also feel lighter and freer to be able to move around whenever you want. More Money – Spending less money buying new things, means you are saving more money to spend on your passions, experiences and travels. More Rest – When you have less time commitments and distractions in your life, you are able to make time for rest and relaxation, which are important to our physical well being. More Happiness and Joy – Joy comes from doing what you love, being grateful for what you have in your life, and appreciating the simple things. More Productivity – Focusing on one task at a time can foster increased productivity and efficiency. Single tasking is better than multi-tasking. Less Stress – When you have less physical clutter surrounding you and thus, spend less time cleaning, organizing, shopping for and maintaining your possessions, you will likely feel less stressed and overwhelmed. Also, committing to less things that take up your precious time helps you to feel less stressed and busy. More Space – More physical space in your house (from decluttering possessions) leads to mental clarity as well. Make a list of the reasons why you want to start living a more minimal life – Come up with your own reasons and personal goals for your new minimal life. Decide what minimalism means to you and how your home and life will reflect this definition. Everybody has different ways of living a minimalist life. The lifestyle exists along a continuum. For some people it means getting rid of their TV and satellite, or living debt-free, or not having a car and only using public transportation/bicycling/walking, or downsizing to a smaller house, or living with a certain number of possessions, or quitting shopping as a recreational hobby, etc. Minimalism can mean different things to different people. Focus on what you want in life, on your passions and on what makes you feel alive, and strip away the physical things and time commitments that get in the way and distract you from doing more of what is important to you. 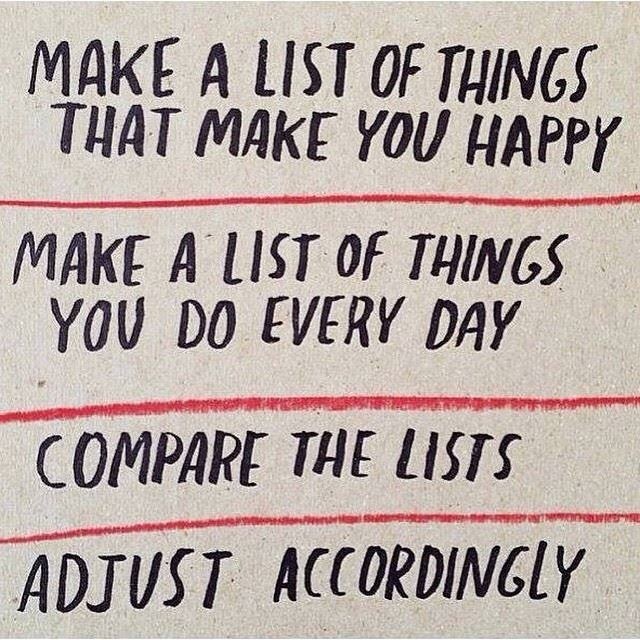 Note: Don’t add more stress to your life by trying to implement all of these steps at one time. Start small. Focus on one step at a time. Don’t overwhelm yourself. Just take it slowly. Minimalism is a journey not a destination. Identify your Priorities and Values – Identify and simplify your priorities. What is important to you (ie. activities, relationships with specific people, experiences, passions, etc.)? What do you value? Does the way you currently spend your time reflect these values? Who or what adds value to your life? What are you passionate about? What are your interests? What do you wish you had more time for? What do you enjoy doing? Who do you like spending time with? What do you want to prioritize in your life? Identify what is important in your life. It could be activities, spending time with certain people, experiences, passions, etc. Minimalism is about making space for the things which matter to you and add value to your life. A key thing to keep in mind when you are figuring out your priorities, is to separate what you want in life from what you think you should want (according to other people and society’s expectations). It’s easy to get the two confused and they can quickly become intermingled with each other. Take some time to really examine your priorities and your values. Stop doing things you don’t want to do or unnecessary things that are taking up too much of your time (browsing the internet and social media, watching TV, shopping for things you don’t need, etc.). Get Rid of Physical Clutter (Declutter your Possessions) – This is the hardest step, but it is a necessary one. It’s hard to decide whether or not to keep items that we don’t use, but that have sentimental value and emotions attached to them. I still have difficulties with this and I often keep holding on to things for these reasons, even though I don’t use them in my daily life. When we are surrounded by physical clutter, we can feel stressed and overwhelmed and anxious. Decluttering is an ongoing process. It is important to start small and focus on taking slow steps. Do one closet, drawer, or room at a time and then stop and do more the next day or the next weekend. Make a bit of time every day to focus on decluttering (15-30 minutes) to tidy surfaces and clean up things laying around. Don’t stress yourself out and try to cram a bunch of decluttering into a short period of time. The first time I decluttered by bedroom, I didn’t get rid of many items, but it was a good starting point. I have since gone back to declutter my room a few more times and with every time, I realize more and more what I don’t actually need or use, and thus, I get rid of more and more. It feels really good to get rid of stuff. It gives me a natural high. My mom and I have been slowly but surely decluttering every room in the house. It’s liberating to be able to let things go yet still keep the memories and history attached to them. Keep what you need, use, love and things that bring you joy. When you’re going through your possessions, take everything out of the area you’re decluttering, and then pick each item up, one by one, and decide where it should go. Have four piles or boxes next to you: one for donating, one for selling, one for keeping and one for trash. If there are items that you’re not sure about, put them all in a box and label it with today’s date. Then set a reminder for yourself to check on that box in 6 months time. If at that time, you realize that you haven’t even opened that box and clearly haven’t needed or used anything from it, then it’s pretty safe to say that you won’t be needing those items in the next 6 months either. Donate the box. Go through your papers and files, books, clothing, basement storage, kitchen, living room, bathroom, etc. Learn to understand the difference between what is a want and what is a need. Getting rid of your physical clutter will have a positive impact on your stress levels. Once you start decluttering, you realize how much stuff you had that you didn’t need. Most of the stuff you think you need, you actually don’t, and you will see that you can live without it. Minimalism is not about getting rid of everything you own, it is about getting rid of things that you don’t use or need and are cluttering your life and physical space. Simplify Time Commitments and Obligations – Simplify your schedule and examine the time commitments in your life. Evaluate whether or not those things are important to you or not. Did you sign up for something (ie. course, club, membership, project, program, class, etc.) out of obligation to someone else? Get rid of any time commitments that are not absolutely necessary or that you are not passionate about and stop filling your schedule with so many things to do. Keep only those that truly add value to your life. Your time is the most valuable asset you own. Use it wisely and make room for more important things. Only keep those commitments in your life that are aligned with your values and priorities. Declutter Your Digital Life (Minimize Distractions) – Examine how much time you spend browsing the internet, mindlessly scrolling through social media, deleting emails you’re no longer interested in, watching TV shows that don’t enrich your life, etc. For one day, keep track of what activity or task you are doing at every hour of the day. At the end of the day, see how much time you spent browsing the internet, scrolling through social media or watching TV. You will probably find that you spent a large chunk of your day connected to the digital world. Set aside specific times during the day in which to process your email until there are no messages in your inbox, browse social media and the internet and watch TV. Set time limits for yourself so that you don’t get so caught up on it and forget about other important things in your life. To minimize distractions in the digital world, stop the information overload. Unsubscribe from newsletters and emails that no longer interest you. Focus on a few favourite websites to stay subscribed to and leave the rest. Turn the notifications off on your phone for emails and social media updates so that you do not have a constant noise distraction. Notifications give us a false sense of urgency and we feel like we have to respond immediately, when really, we don’t. If you want to make even more changes in your life, stop watching TV and especially the news (it’s usually all negative) altogether. Distance yourself from the messages of advertising, by not watching TV and not listening to the radio. Consume only the media which you enjoy. Focus on the forms of media that inspire and motivate you (ie. TED Talks, YouTube videos, Netflix documentaries, etc.). Enjoy Life’s Little Pleasures – Make a list of the little things in the life, the simple things, that bring you joy and happiness, and a smile to your face. It could be the smell of freshly cut grass, the taste of fresh apple crisp with ice cream, the wind blowing through your hair as you ride your bicycle, and more. Think of these things and moments that awaken and excite your senses. Declutter Your Mind – It’s not just physical clutter that you need to get rid of, mental clutter is just as important. Set aside and schedule time in your day to relax, rest and recharge. Spend time in silence, alone without distractions and do something that calms you, like reading a great novel, diffusing essential oils, etc. Go offline, disconnect and spend time appreciating the beauty of nature. Spending time alone in a peaceful and quiet environment, is a great time to reflect on and evaluate your life. Are you where you want to be? Do you enjoy your life? Do you wish you were doing something different? Ask yourself these questions. For me, I really enjoy reading, going for relaxing walks, and relaxing in a sauna. Go Natural – Simplify your beauty routine. Look at the ingredients lists on your shampoo, conditioner, facial moisturizers, soap, etc. How many of those ingredients are words you can’t even pronounce? All of those unpronounceable ingredients in conventional beauty products are chemicals that are harmful to your health. It’s beneficial to use products that contain only organic ingredients that are in their natural plant form, or you can make your own products. Be a good gatekeeper. Examine what is coming into your house. Before you make any purchase, ask yourself if you really need that item or if it can wait. Buy less. Stop shopping for things you don’t need. Spend money on experiences rather than stuff. By spending less money on filling your life with more stuff that you don’t truly need, you will find that you have more money and time to spend on experiences, travel and your passions. Simplify Your Diet – If you want to feel more energetic and alive, you have to cut back on or completely stop eating packaged and highly processed foods, as well as fast food and fried foods. Instead, eat fresh, locally grown/home grown (where possible) produce that provides nourishment to your body. Head to your local farmers market to buy ingredients. Use fewer and mostly whole ingredients as close to their natural form as possible, to make simple home-cooked meals (instead of spending money eating out at restaurants). Make a big salad for lunch with lots of toppings (make it the night before so you can bring it to work with you). See the recipe for my favourite lunchtime salad and homemade dressing using simple and healthy ingredients that you probably already have at home! Check out my other recipes to get you started. To save time thinking about what you are going to eat every day, make a short list of your favourite dinner meals, and eat similar meals on a two-week rotating schedule. Try eating the same thing for breakfast and lunch every day. Plan your meals for the week at the beginning of the week and then list the ingredients that you need to pick up in order to make them. Simplify Your Relationships – Evaluate your friendships and determine what purpose each person serves in your life. Be intentional about who you spend time with and socialize with. Stop communicating with “friends” who are negative and only bring you down instead of building you up. Simplifying Your Budget and Spending – Use one of many smartphone apps, online websites or a simple spreadsheet to track your expenses for a month. See exactly where you spend your money based on categories (food/groceries, transportation, car fuel, car insurance, clothes/books/beauty products, eating out, alcohol, entertainment, rent/mortgage, phone bill, etc.). Once you are able to view a summary like this, it’s easier to find categories where you can cut back or eliminate unnecessary spending. Figure out which expenses are “fixed” (you have to pay them every month) and which ones are flexible. Once you know how much money you spend in each category, create a flexible budget for yourself. Define how much money you want to be spending on each category monthly and stick to it as closely as possible. But don’t beat yourself up if you get off track sometimes or if emergency purchases come up. Just start fresh again next month and try to improve with your saving every month. Basically, spend less money and save more. Don’t spend money on things you don’t need. This will help you to save more money which can be spent on experiences and other important things in your life. Travel Lightly – For me, backpacking in Mexico’s Yucatan Peninsula was a true test of minimalism and living simply. Living out of a backpack really shows you what things you need and which ones you don’t. Plus, when you travel light, you feel freer and are not physically and mentally weighed down by your stuff. Spend Your Time Intentionally – Write down what you love doing, what excites you, what interests you, what you are passionate about doing or learning about. What are your skills and talents? What are you gifted at? Where do your strengths lie? What is important to you? Focus on what truly matters in your life and eliminate other unnecessary time commitments that do not serve your life’s purpose. Make room for your priorities and focus on spending your time doing things that you enjoy and focusing on what is important to you. Single Task – Doing one thing at a time actually helps you to be more efficient and increases productivity. Focus on completing that task before moving on to another. At the beginning of every day, make a list of the tasks that you have to complete during the day and order them, with the most important tasks at the top of the list and those ones completed first. Be mindful about whatever you are engaged in and focus on doing just that before moving on to the next task. Don’t give up – Decluttering your possessions, learning to live with less, and rejecting the consumerist messages of society are all difficult things to do. You have to be willing to work hard at it. Being intentional, mindful, and purposeful in your actions is key. We will sometimes acquire things and accumulate unneeded stuff that we don’t even realize it’s happening. We will clutter our homes and schedules with physical stuff and unnecessary time commitments. Don’t give up on your quest to simplify. Just keep going. Check out my resources page for a list of all of my favourite minimalism and simple living blogs that I read for inspiration, guidance and practical information and tips. Basically, minimalism is about living an intentional and meaningful life, filled with things that are important to you, things you are passionate about, and things which add value to your life and bring you joy, while eliminating anything that does fit into these categories. It is about finding joy in life, making space for experiences, being grateful and appreciating the little things. Are you trying to live a simpler and more minimalist lifestyle? If so, what benefits have you experienced in your life? Are you interested in this type of lifestyle? Thanks for the ping back! Looks like you have a real handle on minimalism! Thanks!! There’s always more to learn and more to work on simplifying but I’ve definitely got the basics down now! This is spectacular Thank you! I really needed to just read about minimalism in one whole concise piece 🙂 You really put everything together well!! Really interesting read. I’ve noticed since travelling with only a 55l backpack I don’t really miss a lot of things at home. I’ve always been quite minimalistic – I used to clear out my clothes at least 4x a year if not more and toss anything that I felt I hadn’t used. I do feel we are often pulled into buying more than we need with offers in stores on just about everything. We should all be aware of how much ‘stuff’ we have and why we feel we need it in the first place. I feel the same way when I travel with a backpack… You realize how little you truly need. That’s true, everyone is trying to entice you to buy their product and appeal to our emotions, making us feel like we need it in our lives. That’s great advice! Realizing that we likely have enough stuff and then questioning our reasons to buy something new is a good thing to learn and practice 🙂 Thanks for reading! Hi Brittany! Great Post. I agree, sometimes we just get bogged down by a “To-do list” which is never ending and the rat race of trying to keep up with the new things that everyone else has. More isn’t always better, and getting down to the heart of what matters is important. My husband and I recently moved, so we would have a better quality of life. More money often doesn’t equal happiness. Looking forward to reading more of your posts!! Thanks so much for reading and commenting! I’m glad you enjoyed it. That’s very true. It can be overwhelming when we look at all the things that still need to be done. I completely agree with you about more money not equating to more happiness. I’m glad that you’ve discovered some of the benefits of living with less as well. I am so glad you can relate, Katie! I totally agree with you… Less stuff means less stress. It is really difficult to reject consumerism, because it’s all around us, with advertising and the majority of society participating in the consumerist culture. It’s definitely challenging at times. Minimalism is a continual process of simplifying. It’s all about enjoying the journey 🙂 Thanks so much for reading! Living out of a rucksack, as I have for nearly a year, definitely contributes to a minimalist lifestyle. I found myself agreeing with lots of the points you make – why do we pressure ourselves to buy so much and to stress so much about earning enough money to pay for all the purchases? I believe that we should spend time and money doing what we love. This post was an interesting read, thank you!